Waiting on Wednesday: Week Two ~ Love.Life.Read. Some say the seaside town of Echo Bay is cursed. They may be right. When a game of truth or dare spins out of control, three beautiful teen girls start receiving mysterious dares containing hints to dark secrets long buried. For artsy outcast Sydney Morgan; perfect, popular Caitlin “Angel” Thomas; and queen bee Tenley Reed, the truth is not an option. This is no party game—it’s do or die. And it’s their turn to play. Great picks and Happy Reading! Here is my WoW for this week! 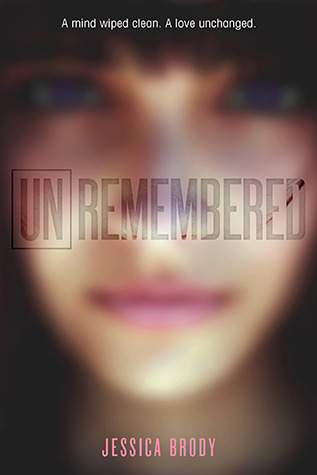 I have Unremembered on the way to me and I am so excited for it! As well as that, Sweet Peril looks great though I haven't even read Sweet Evil yet and Truth or Dare sounds so thrilling and positively creepy. Awesome picks this week! I love the premise of it...I mean how many of us have played truth or dare at some point in our lives? I'm so intrigued by the description. Thanks for stopping by! Awesome choices. I adored Sweet Evil and Wendy Higgins is just the best. Sweet Peril is bound do be amazing and of course, I'm ready to fangirl over Kai, le sigh, lol. Happy reading and thanks for stopping by my WOW! Thanks for stopping by my WoW :) Happy Reading to you too. Holy YES!!! I can't wait for Sweet Peril either! Sweet Evil was so so so amazing and when there was this uncertainty about whether or not Harper would pick up the sequel, I was horrified at the idea that we might never know how Kai & Anna's story continues. I am so THANKFUL that they picked up the rest of the series. I think there would be a lot of outcry if they did not. :) Thanks for stopping by and Happy Reading!